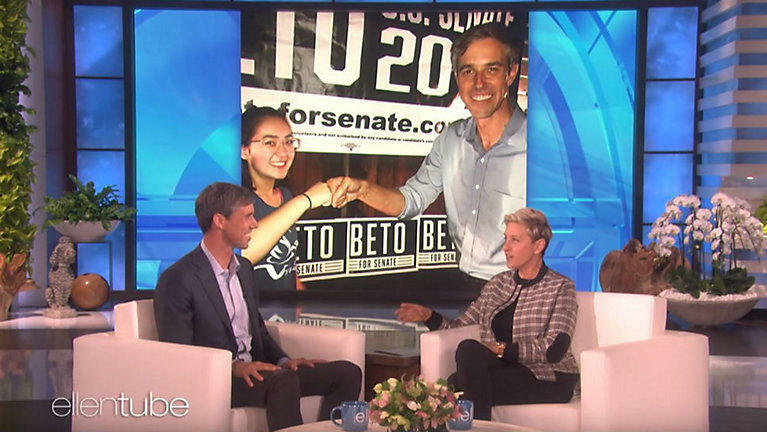 Beto O'Rourke appearing on "The Ellen DeGeneres Show." 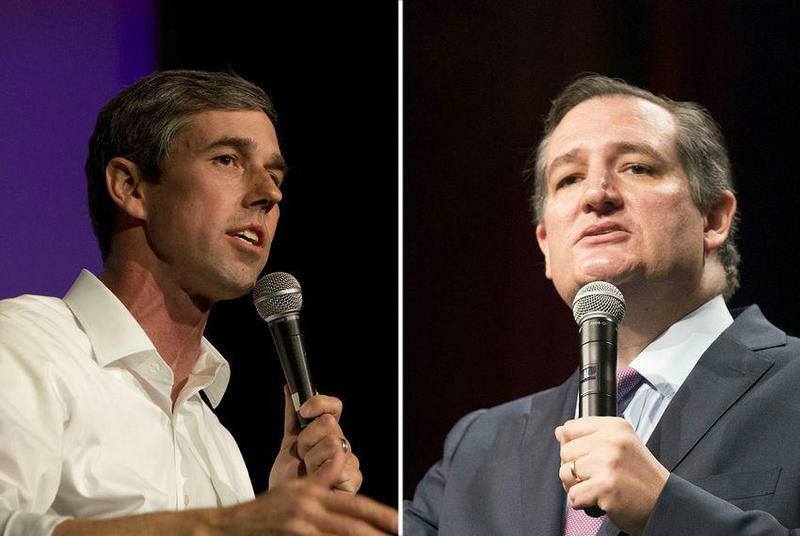 O’Rourke's campaign has used a number of online postings, streaming videos of his town hall events and viral pop culture moments to attract national attention. Daytime talk show host Ellen DeGeneres said that last month she saw a video of O’Rourke explaining to a voter why he supports athletes kneeling during the national anthem, and she decided to invite him onto her stage. “It was amazing because it almost seemed like you set that up — like that guy was a plant — because your answer was so eloquent,” DeGeneres said. DeGeneres asked O’Rourke about a 1998 DUI arrest and mugshot the Cruz campaign uses in its campaign ads. O’Rourke called the arrest a mistake on his part. He then pivoted to his outlook on crime and race. “In many ways, that mistake did not define me, but I know to some degree that is a function that I am a white man in this country. I know that if I had been an African-American if I had been arrested with marijuana, it might be very hard for me to get a job, I would have to check a box on an application form,” O’Rourke said.